Testimonials Archive | WIC Insurance Inc.
We have worked with WIC Insurance for over 25 years. We are always grateful for their prompt and courteous service. We look forward to a continued, successful partnership. As I approached the opening of my business, there were many different and new (to me) requirements that I had to have in place for Day 1 – one of which was business insurance. Derek readily grasped the requirements for my business and provided the coverage that was appropriate. When I realized late that I needed to make a slight change, Derek accommodated my request with ease. Gail has been our agent for our business and personal needs for over 10 years now. She is a joy to have for an agent. Always on top of our concerns and needs. She gets whatever we need done fast and done correctly the first time. A great pleasure to deal with. Thanks to Gail for making our insurance needs an easy process year after year. With the daily grind of operating a business, it is comforting to have an insurance agent you can build a relationship with and trust with all of your insurance needs. I have had the privilege to work with Gail Prescott for over ten years. She is my official insurance consultant and has supported all of my very diverse insurance needs. With every policy, I have been properly advised, and patiently given all available options with explanation and detailed information as necessary. I have referred her to all that sought my opinion for insurance agents and I will continue to do so. Derek Rynne of WIC has been my personal and professional insurance agent for the past six years. Derek has always been available for questions and worked diligently to provide my office and my family with the appropriate coverage at the best possible premium. I trust Derek 100% with all my insurance needs and recommend him and WIC Insurance without reservation. 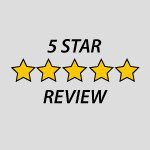 Gail, we would like to take a moment to thank you for the great job you always do for us. Running a business is getting harder all the time, and it is nice to know that we don’t have to worry about any of the insurance policies we have with you. We are glad to know that you watch out for our interests and on the rare occasion that we do have a question or concern, all it takes is a quick phone call or email to you. You are a very dedicated person; I don’t know of many people who check their business emails while on vacation, let alone respond to those emails while on vacation! WIC is very fortunate to have you on their staff and we are grateful that we have been doing business with you for twenty (plus) years. We receive many phone calls and letters from other insurance companies and I always tell them I am happy with my current agent, because she treats me more like a friend than just a client. I have had two changes to my policy due to vehicle changes, and Derek has been 100% responsive to changing the policy and accommodating the changes. He has been efficient, friendly, and extremely accessible at all times. As a result, these changes have been seamless and effortless on my part! He has also been attentive in reminding me to pay the monthly premiums on time—everyone needs an agent like that! It only takes 7 words to describe Gail – The Best Insurance Agent in the World! As with most good business relationships, Derek was recommended by a colleague. He reviewed our policies and reduced our “apple-to-apples” premium roughly 25% by using a different carrier. We used about half of that savings for additional coverage. Today, we’re better insured for less money. WIC Insurance and, more importantly, Derek Rynne, have proven that personal customer service is still alive. Derek has shown his professionalism on many, many occasions and has helped both my company and myself personally save money. Derek has gone out of his to service my insurance needs in a way that far surpasses my expectations of what an insurance agent should be. I will continue to work with Derek as long as I’m in business. Gail Prescott is a very dedicated insurance agent who takes pride in the relationships that she has with her customers. Gail works hard to make sure that she is providing the best coverage and pricing for each of her customers, whether it be a small personal account or a larger commercial account. Customer service is top priority to her and her agency. Derek Rynne is the best insurance agent in the country. If you want personal attention, a man who works for his clients for countless hours throughout the week, month and year, Derek is your guy. When our entire moving truck was stolen with over 15 years of furniture, clothes, toys, and memories, Derek was the first person I spoke to in order to guide me through the process of putting an insurance claim in. Derek was able to calm me down and patiently help my wife and I collect all the data we needed in order to try to get our lives back together. Derek was available whenever we needed him whether it was during business hours or not. He was our angel during a very difficult time. Without Derek Rynne, I do not think we would have been able to get through this awful crime that occurred. If you are looking for the best insurance company with the best agent, I would strongly recommend Derek Rynne. Derek Rynne has been a great insurance provider not only for our business operation, but also for our personal needs. It’s very easy to reach him when you need him and he’s always ready to help.